The History of Nigeria can be traced to ancient settlers living in the region as early as 11,000 BC. Numerous ancient African civilisations developed in the region that is today Nigeria. An example of one of the evolutions that settle in Nigeria is the Nri Kingdom. Islam reached Nigeria over the Hausa States during the 11th century. Nigeria surrounds more historic cultures and kingdoms than any other nation in Africa. They date back as far as the 5th century BC, when societies living around the southern slopes of the Jos plateau make wonderfully expressive terracotta figures – in a convention known now as the Nok Culture, from the Nigerian village where these sculptures are first unearthed. The Nok persons are Neolithic tribes who have recently developed the iron technology spreading southwards through Africa. The Jos plateau is in the center of Nigeria, but the first extensive kingdoms of the region – more than a millennium after the Nok societies – are in the north and northeast, originating their wealth from trade north through the Sahara and east into the Sudan. During the 9th century trading empire grows up around Lake Chad. Its original center is east of the lake, in the Kanem region, but it soon spreads to Bornu on the western side. In the 11th century the ruler of Kanem-Bornu adapts to Islam. The Songhai Empire also employed part of the region. Lagos was captured by British forces in 1851 and formally annexed in 1861. Nigeria became a British dependency in 1901. Colonisation lasted until 1960 when a freedom movement succeeded in gaining Nigeria its independence. Nigeria first befitted a republic in 1963 but acceded to military rule in 1966 after a bloody coup d'état. A separatist movement later formed the Republic of Biafra in 1967, prominent to the three-year Nigerian Civil War. Nigeria became a republic once again after a new constitution was written in 1979. However, the republic was fleeting, when the military led by Major General Muhammadu Buhari grasp again four years later. Buhari was toppled and a new republic was founded in August 1993 but was dissolved once again by General Sani Abacha in November that similar year. Abacha died in 1998 and a fourth republic was later recognised the following year, ending three decades of intermittent military rule. EARLY HISTORY – Archaeological research, established by Thurstan Shaw and Steve Daniels, has shown that persons were now living in south-western Nigeria (specifically Iwo-Eleru) as primary as 11,000 BC and perhaps earlier at Ugwuelle-Uturu (Okigwe) in south-eastern Nigeria, where microliths were used. The most primitive known example of a fossil human skeleton initiated anywhere in West Africa, which is 13,000 years old, was found at Iwo-Eleru in western Nigeria and proves to the antiquity of habitation in the region. 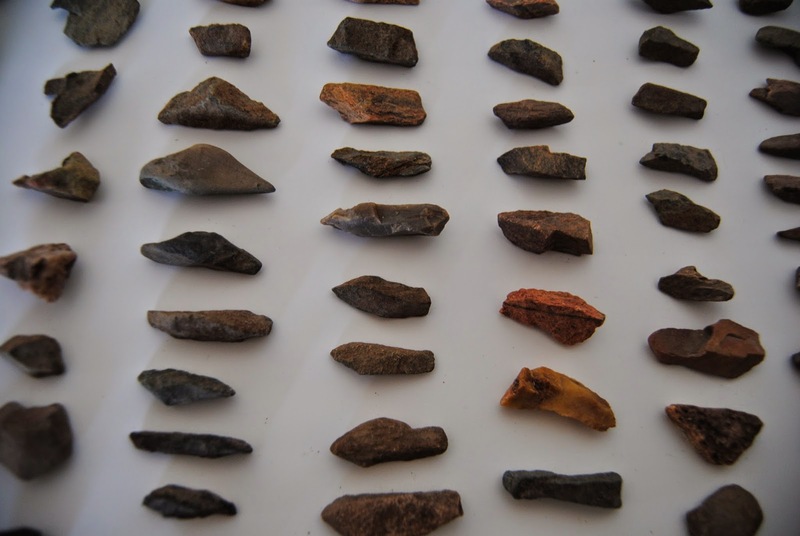 Microlithic and ceramic businesses were also developed by savanna pastoralists from at least the 4th millennium BC and were continued by succeeding agricultural communities. In the south, hunting and gathering gave way to subsistence farming around the same time, depending on more on the indigenous yam and oil palm than on the cereals important in the North. The stone axe heads, imported in great capacities from the north and used in opening the forest for agricultural development, were honoured by the Yoruba descendants of neolithic pioneers as “thunderbolts” tossed to earth by the gods. Iron Smelting incinerators at Taruga dating from around 600 BC provide the oldest sign of metalworking in Sub-Saharan Africa. Kainji Dam excavations exposed iron-working by the 2nd century BC. The transition from Neolithic times to the Iron Age seemingly was achieved indigenously without intermediary bronze production. Others suggest the technology moved west from the Nile Valley, though the Iron Age in the Niger River valley and the forest region appears to precede the introduction of metallurgy in the higher savanna by more than 800 years. The earliest recognised iron-using Nigerian culture is that of the Nok culture that thrived between around 900 BC and 200 AD going on the Jos Plateau in north-eastern Nigeria. Data is lacking from the first millennium AD following the Nok dominance, but by the 2nd millennium, there was active trade from North Africa through the Sahara to the forest, with the people of the savanna acting as mediators in exchanges of various goods. HAUSA KINGDOMS – The Hausa Kingdoms were a group of states started by the Hausa people, situated between the Niger River and Lake Chad. Their history is mirrored in the Bayajidda legend, which describes the adventures of the Baghdadi hero Bayajidda cumulating in the killing of the snake in the well of Daura and the marriage with the local queen Magajiya Daurama. While the hero had a kid with the queen, Bawo, and another child with the queen's maid-servant, Karbagari. 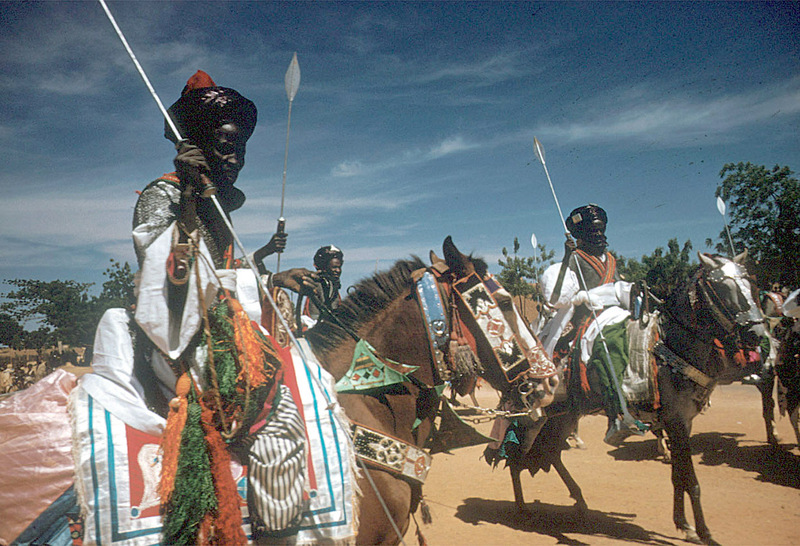 SARKI MYTHOLOGY – Permitting to the Bayajidda legend, the Hausa states were originated by the sons of Bayajidda, a prince whose origin varies by tradition. But official canon records him as the person who married the last Kabara of Daura and heralded the end of the matriarchal rulers that had erstwhile ruled the Hausa people. Contemporary historical scholarship views this legend as a symbol similar to many in that region of Africa that perhaps referenced a major event, such as a shift in ruling dynasties. As the beginning of Hausa history, the seven states of Hausaland separated up production and labor activities in agreement with their position and natural resources. Kano and Rano were known as the “Chiefs of Indigo.” Cotton grew willingly in the great plains of these states, and they became the primary manufacturers of cloth, weaving and dying it before distributing it off in caravans to the other states within Hausaland and to extensive regions beyond. Biram was the original seat of government, while Zaria provided labor and was known as the “Chief of Slaves.” Katsina and Daura were the “Chiefs of the Market,” as their topographical location accorded them direct access to the caravans coming across the desert from the north. Gobir, positioned in the west, was the “Chief of War” and was mainly responsible for protecting the empire from the aggressive Kingdoms of Ghana and Songhai. Islam arrived at Hausaland along the caravan routes. The famous Kano Chronicle records the conversion of Kano's ruling empire by clerics from Mali, representing that the imperial influence of Mali extended far to the east. Acceptance of Islam was plodding and was often nominal in the rural area where folk religion continued to exert a strong influence. Nonetheless, Kano and Katsina, with their well-known mosques and schools, came to participate fully in the cultural and academic life of the Islamic world. The Fulani began to move in the Hausa country in the 13th century and by the 15th century, they were inclining cattle, sheep, and goats in Borno as well. The Fulani derived from the Senegal River valley, where their descendants had developed a method of livestock administration based on transhumance. Progressively they moved eastward, first into the centers of the Mali and Songhai empires and ultimately into Hausaland and Borno. Some Fulbe adapted to Islam as early as the 11th century and settled among the Hausa, from whom they became racially vague. There they constituted devoutly religious, educated elite who made themselves crucial to the Hausa kings as government advisers, Islamic judges, and teachers. ZENITH – The Hausa Kingdoms were first stated by Ya'qubi in the 9th century and they were the 15th-century lively trading centres competing with Kanem-Bornu and the Mali Empire. The primary exports were slaves, leather, gold, cloth, salt, kola nuts, animal hides, and henna. At various instants in their history, the Hausa managed to launch central control over their states, but such unity has always upheld short. 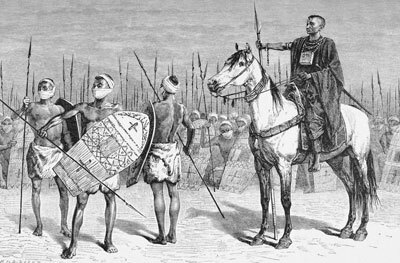 In the 11th century, the conquests originated by Gijimasu of Kano culminated in the labour of the first unified Hausa Nation under Queen Amina, the Sultana of Zazzau but severe rivalries between the states led to periods of dominance by major powers like the Songhai, Kanem and the Fulani. 2. 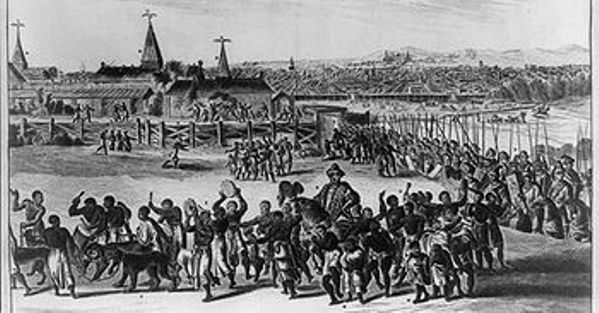 FALL – Despite the relatively constant growth, the states were vulnerable to aggression and, although the vast majority of its occupants were Muslim by the 16th century, they were condemned by Fulani jihadists from 1804 to 1808. In 1808 the Hausa Nation was finally oppressed by Usuman dan Fodio and assimilated into the Hausa-Fulani Sokoto Caliphate. FIRST PERIOD OF MILITARY RULE – On 15 January 1966 a group of army constables (the Young Majors) mostly south-eastern Igbos, overthrew the NPC-NNDP government and slew the prime minister and the premiers of the northern and western regions. However, the bloody nature of the Young Majors upheaval caused another coup to be carried out by General Johnson Aguiyi-Ironsi. The Young Majors went into hiding. Major Emmanuel Ifeajuna absconded to Kwame Nkrumah's Ghana where he was welcomed as a hero. Some of the Young Majors were arrested and interned by the Ironsi government. Among the Igbo people of the Eastern Region, these convicts were heroes. In the Northern Region, however, the Hausa and Fulani people demanded that the detainees be placed on trial for killing. The federal military government that expected power under General Johnson Aguiyi-Ironsi was unable to quiet ethnic pressures on the issue or other issues. Moreover, the Ironsi government was unable to produce a constitution suitable to all sections of the country. Most critical for the Ironsi government was the decision to issue Decree No. 34 which sought to unify the nation. Decree No. 34 pursued to do away with the whole federal structure under which the Nigerian government had been planned since independence. Rioting broke out in the North. The federal military government that expected power under General Johnson Aguiyi-Ironsi was unable to quiet ethnic pressures on the issue or other issues. Moreover, the Ironsi government was unable to produce a constitution suitable to all sections of the country. Most critical for the Ironsi government was the decision to issue Decree No. 34 which sought to unify the nation. Decree No. 34 pursued to do away with the whole federal structure under which the Nigerian government had been planned since independence. Rioting broke out in the North. The Ironsi government's efforts to abolish the federal construction and the renaming the country the Republic of Nigeria on 24 May 1966 raised tensions and led to another coup by mostly northern officers in July 1966, which recognised the leadership of Major General Yakubu Gowon. The name Federal Republic of Nigeria was reinstated on 31 August 1966. However, the subsequent massacre of thousands of Ibo in the north impelled hundreds of thousands of them to return to the south-east where increasingly strong Igbo secessionist sentiment occurred. In a move towards superior autonomy to minority ethnic groups, the military divided the four regions into 12 states. However, the Igbo excluded attempts at constitutional revisions and insisted on full autonomy for the east. ABUBAKAR'S TRANSITION TO CIVILIAN RULE – Abacha died of heart failure on 8 June 1998 and was substituted by General Abdulsalami Abubakar. The military Provisional Ruling Council (PRC) under Abubakar altered the sentences of those accused in the alleged coup during the Abacha regime and unconstrained almost all known civilian political captives. Pending the promulgation of the constitution written in 1995, the government observed some necessities of the 1979 and 1989 constitutions. Neither Abacha nor Abubakar lifted the decree appending the 1979 constitution, and the 1989 constitution was not implemented. The judiciary system continued to be hindered by corruption and lack of resources after Abacha's death. In an attempt to alleviate such problems Abubakar's government executed a civil service pay raise and other reforms. HISTORIOGRAPHY – The Ibadan School conquered the academic study of Nigerian antiquity until the 1970s. It arose at the University of Ibadan in the 1950s and remained foremost until the 1970s. The University of Ibadan was the first university to open in Nigeria, and its scholars set up the history sections at most of Nigeria's other universities, scattering the Ibadan historiography. Its scholars also wrote the workbooks that were used at all levels of the Nigerian education system for many years. The school's output seems in the “Ibadan History Series. The leading scholars of the Ibadan School contain Saburi Biobaku, Kenneth Dike, J. F. A. Ajayi, Adiele Afigbo, E. A. Ayandele, O. Ikime and Tekena Tamuno. Imported scholars often connected with the school contain Michael Crowder, Abdullahi Amith, J. B. Webster, R. J. Gavin, and etc. The school was categorized by its overt Nigerian patriotism and it was geared towards forging a Nigerian character through publicizing the glories of pre-colonial history. The school was quite outdated in its subject matter, being largely confined to the political history that coworkers in Europe and North America were then refusing. It was very modern, however, in the sources used. Much use was made of oral antiquity and throughout the school took a strongly interdisciplinary approach to gathering data. This was especially true after the launching of the Institute for African Studies that brought together experts from many disciplines.